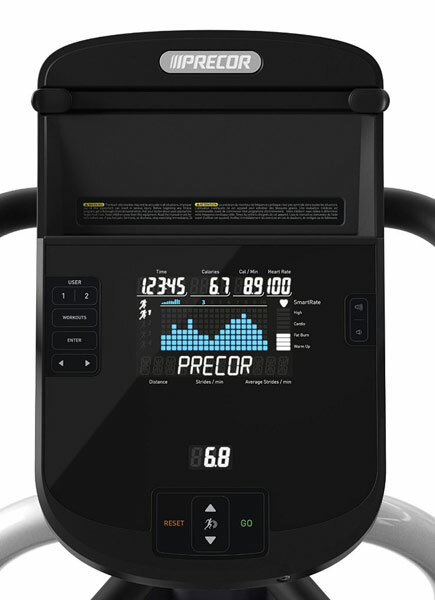 Precor Home Ellipticals Comparison and Reviews (2018-2019): This is a roundup, comparison and reviews of the top rated Precor elliptical trainers for 2018-2019. 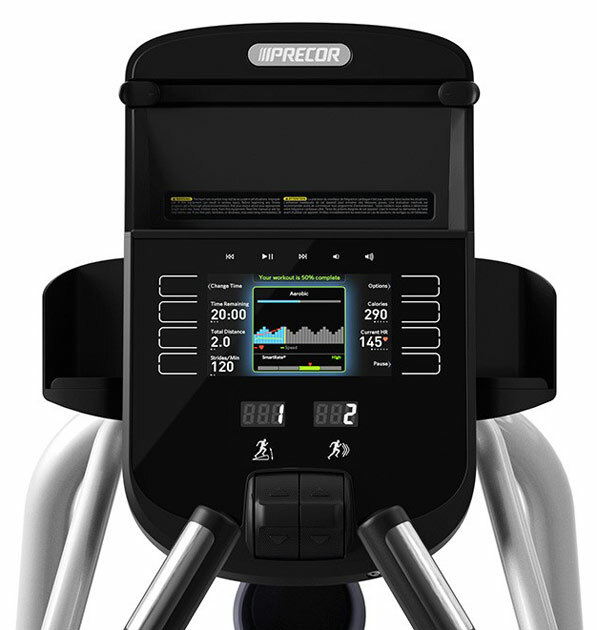 Precor ellipticals are premium high end, club quality ellipticals. 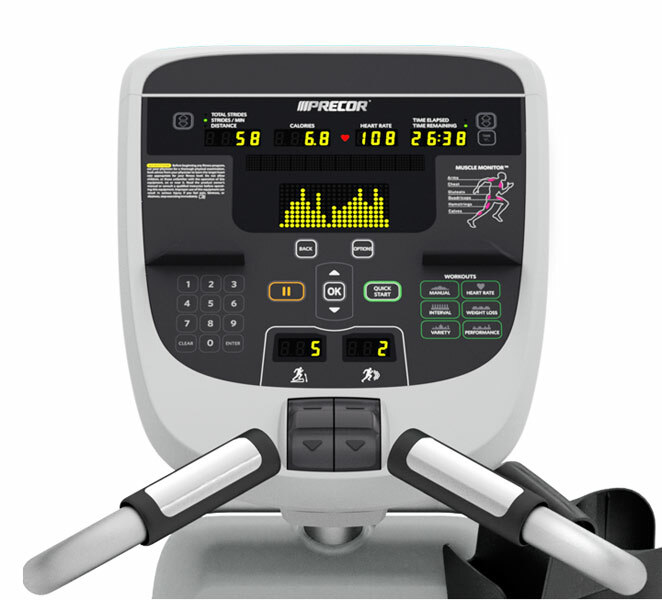 Most major gyms feature Precor Ellipticals, Treadmills, and Exercise Bikes. These are built to commercial quality standards for durability and longevity. The build quality is excellent. Elliptical Trainers provide an excellent form of aerobic exercise at home that you can do no matter what the weather is outside. Elliptical machines are easier on your joints than other forms of cardio exercise. These low-impact exercise machines also build arm and leg strength. 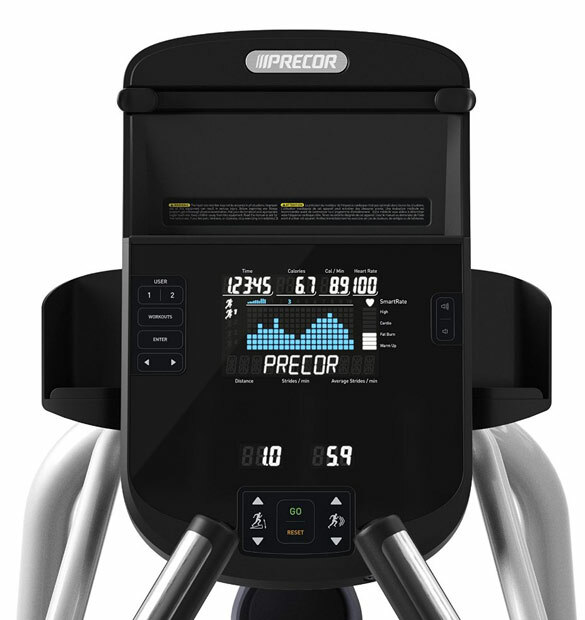 You can compare the differences of each Precor elliptical trainer below by features such as workout programs, reviews, maximum weight capacity, price, and other features. A glossary of terms is available at the bottom of this page. Available Metrics = Metrics are information available during a workout, including Time Elapsed, Total Distance, Total Strides, Average Strides/Minute, Total Calories, Average Calories/Hour. The more metrics, the more information is available. Magnetic Brake Resistance = Most Elliptical Machines use magnetic resistance which offers resistance through magnetic fields. One type of magnetic resistance is ECB (described below). Magnetic resistance is more maintainance free than those older technologies that relied on friction pads and belts. Magnetic resistance braking is smoother to use and is quieter than other types of resistance mechanisms. ECB Resistance = ECB Resistance is a high quality (and best) form of magnetic brake resistance. ECB = eddy current brake. All of Schwinn, Precor, Life Fitness, and Sole Ellipticals use ECB Magnetic Resistance. Power Incline/Incline Ramp = An incline ramp allows you to simulate hills and make your workout harder. You press a button to raise the incline ramp to your preferred position.